You don’t have to be scared of eating sushi. If you do then you will be missing out something that’s simply great and delightful. In the United States, many people think of raw fish when they heard of the word ‘sushi.’ The raw fish that they are thinking about is commonly accompanied by seaweed (maki) and rice. There are many variations that they can try as far as this kind of food is concerned. In reality, this type does not necessarily include raw fish. There are times when it is served with only rice, seaweed and vegetables. But this is known to be a good way wherein one can be introduced to eating sushi. Nigari is a personal favorite of mine. It is rice seasoned with raw fish atop of it. In other cases, raw fish is seasoned with wasabi underneath it. Wasabi is a kind of condiment that is very spicy and widely used in spicing up many different kinds of Japanese foods such as dishes with raw fish meats. What is Sushi and What Does Sushi Taste Like? Most people have a wrong insinuation and understanding when they hear of the word ‘sushi’. Are you one of them? Sushi is actually a word that refers to the rice and not the fish that comes with it. Basically, the rice is served with seasonings like salt, sugar, and vinegar. The rice in question here is short-grained so it is usually sticky and holds itself and shape pretty well. 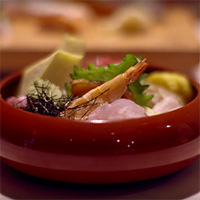 Visiting Japanese restaurants is the easiest way to order and eat sushi and going out to try can be a great experience. Once you are served with it, you will notice that the sushi plate is well-decorated and arranged beautifully. In most cases, every plate seems to appear like an artwork. As such, eating sushi is eating not only with your mouth but with your eyes as well. Before consuming it, people would usually pour soy sauce into a tiny dish where they will be dipping their sushi. Wasabi will always be available in a restaurant that serves this Japanese delicacy and this is for those who want their sushi spicier. You might be surprised to see shaved ginger on your plate; this is something you can use to clean your plate in-between pieces. Eating raw fish can be hard to others especially when it is their first time to try. But the magic of this food is seen when one gets suddenly hooked to it after his initial try. Every fish exudes a unique taste, and each one comes with a different texture as well. There are fish meats that are sweet to the palate while others may not be as good and tasty as others. There are fish meats that come with a buttery texture while others usually look firm. There is a wide range of choices as far as fish meats for sushi is concerned and this simply entails everyone having the freedom to choose the one that suits their taste buds best. Temaki: “Hand-rolled” – rolled into a cone shape. Uramaki: “Rolled inside out” – nori is placed inside while rice is found on the outside. Futomaki: “Thickly rolled” – nori is on the outside while rice is on the inside. Chumaki: “Medium rolled” – nori is on the outside and rice is on the inside. 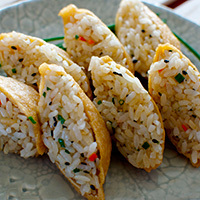 Hosomaki: “Thinly rolled” nori is on the outside and rice is on the inside. This is a hand-pressed type of sushi. It is commonly formed rectangle by hand and commonly made from sushi rice which is then topped with a touch of wasabi and various kinds of toppings. 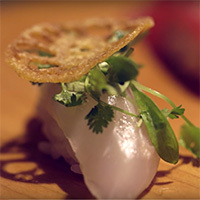 Toppings for a Nigiri sushi usually come in the form of tuna, octopus, shrimp and many others. This literally means ‘scattered sushi’. It looks similar to a bowl of burrito which contains a variety of sushi ingredients. Typically, nine kinds of ingredients are used in making a Chirashi sushi but right now, ingredients may vary depending on your preferences. This is also typically found in most Japanese homes and would definitely taste more perfect for leftover. In many cases, this kind of sushi is not served with fish meat. This kind of sushi is made from pouches of fried tofu and then filled with sushi rice. Typically, only rice is contained in the dish but you can have the freedom to add toppings whenever desired. This is a pressed sushi that is created using a wooden mold in box shape. Its bottom is commonly lined with toppings, the rice and then pressed into a rectangular box. Finally, it is then cut into tiny squares or rectangles before serving. What does sushi taste like? This depends on the kind of fish you are going to use. Texture is more important than flavor when choosing fish for your sushi. And the taste that you get from a particular fish meat will have different feel and taste to others. 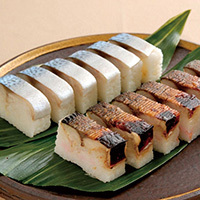 It is the topping of the sushi that brings in flavor. Shrimp, octopus, salmon and eel are commonly used and they simply affect the taste of a sushi. Octopus as a topping may not be a good choice for a first-timer due to its rough texture. Neutral flavor proves to be something great when it comes to sushi. It is important to taste the rice and a little bit of the toppings’ flavor. 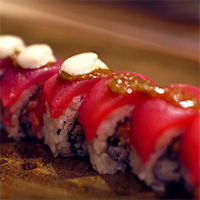 The mild and not-so-strong flavors of individual fish will help you in getting yourself used to consuming sushi. My name is Nicole Lucas, I am the main editor of No Meal No Health and moreover I am a mother to an 7 year old angel, and me and my husband regularly have cook-offs in our kitchen for fun. I would love blog about healthy food/drink, tips & tricks that will help you bring happiness to your family. Can You Eat Tofu Raw? Your Burning Questions About Tofu, Answered! Top Silken Tofu Recipes for Beginners or Advanced Chefs! NoMealNoHealth.com is a participant in the Amazon Services LLC Associates Program, an affiliate advertising program designed to provide a means for sites to earn advertising fees by advertising and linking to Amazon.com.